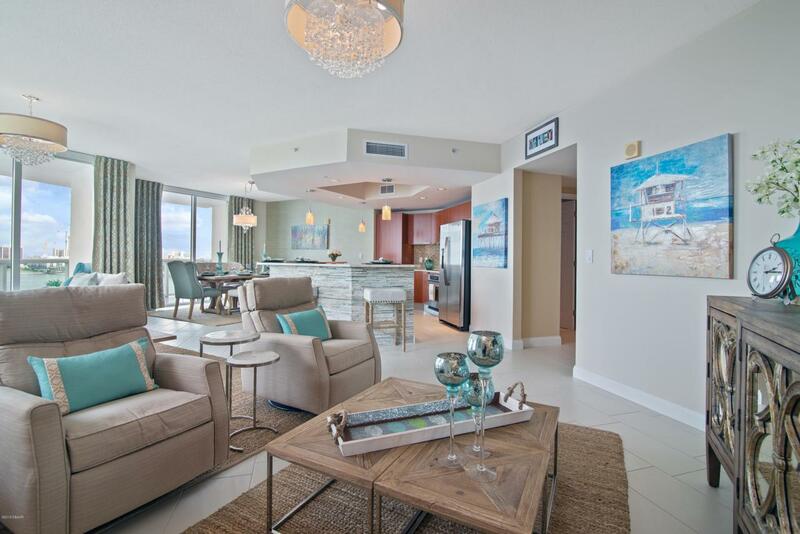 STRAIGHT FROM THE PAGES OF COASTAL LIVING MAGAZINE THIS PREFERRED CORNER CONDOMINIUM HOME IS WRAPPED IN WATER VIEWS! 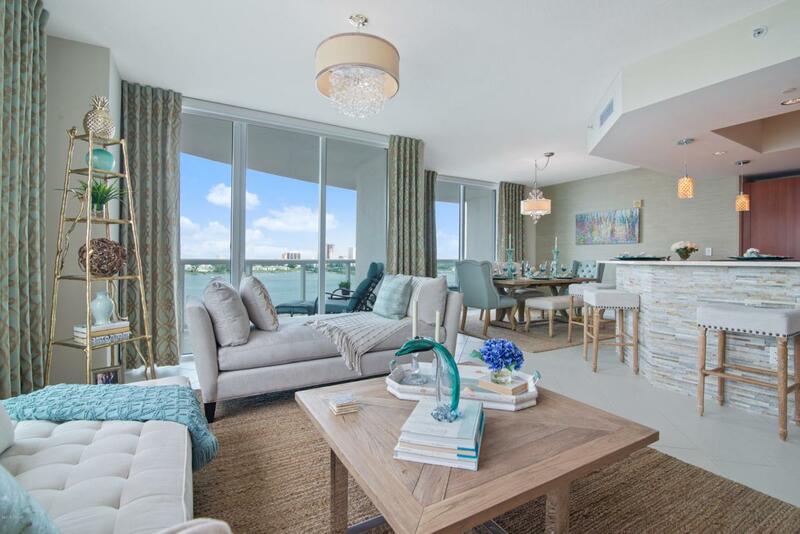 FILLED WITH PANORAMAS THIS MOST POPULAR FLOOR PLAN VIEWS BOTH OCEAN & RIVER! Spacious riverfront balcony provides the perfect spot for relaxation, sip your morning coffee and welcome each beautiful sunrise. High ceilings, layered lighting, and generous waterfront living areas give this coastal retreat a distinctive tropical ambiance. 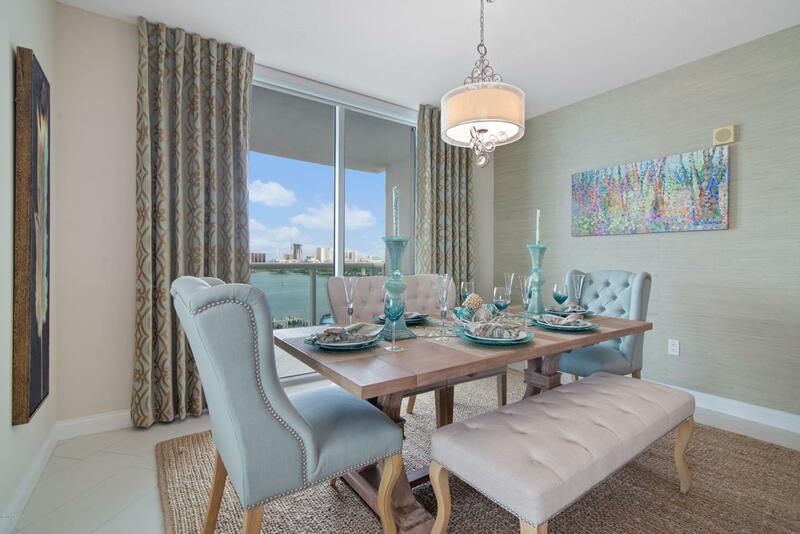 Elegant upgrades include decorator window treatments and wall coverings, tile flooring & stunning granite & coordinating backsplash. Designer Barn Door creates a guest wing. Master's retreat is ultimately private with a spa style bath for 2. All Closets equipped with organizers. 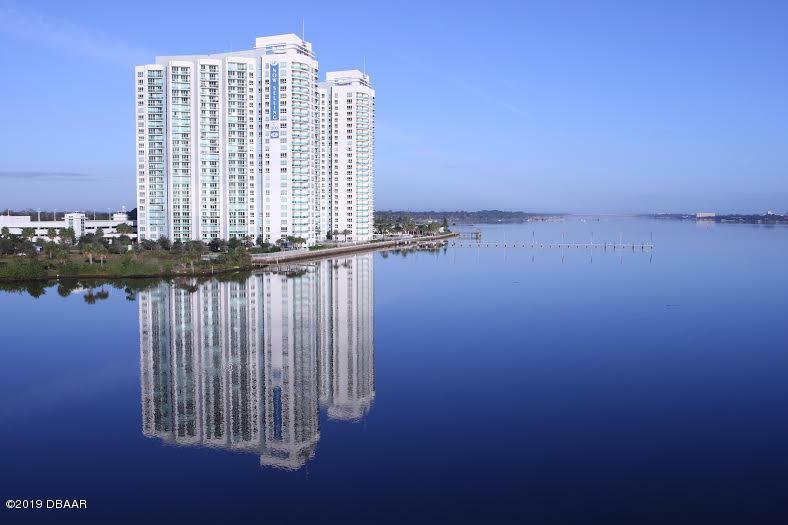 This condominium residence is in pristine condition. Hurry!